Thomas Stonor (Baron Camoys, 1839) of Stonor Park (in Pyrton parish, Oxon.). Anthony George Wright of Burton-upon-Trent who in 1837 assumed the name of Biddulph. They still held it in 1840. By 1842 the 220 acre Rushton Grange estate had passed to Lord Camoys. Shortly afterwards he began to redevelop the land on the east side of the estate next to Waterloo Road. Development was first of all limited to plots immediately adjacent to Waterloo Road, though gaps were left in the building plots to facilitate the construction of side roads at a later date. Building began on the plots at the northern end of the road nearest to Burslem. It is clear that Lord Camoys intended to create a high-class residential development for middleclass occupiers. 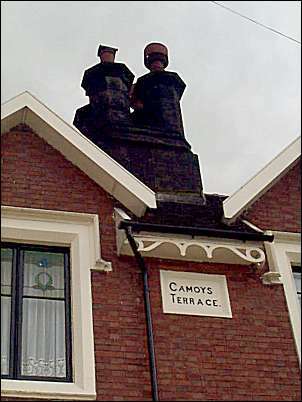 The first phase of development included the construction of “Camoys Terrace” (No 184 & 186 Waterloo Road), a pair of large semi-detached houses in the Gothic style. No 184 contained 8 rooms and No 186 7 rooms, each with a front garden and a large rear garden plus a coach house and driveway to Waterloo Road. They can be found on the section from the 1878 Ordnance Survey map. In 1851 one of the houses was occupied by William Kennedy, a pottery manufacturer at the Washington works. 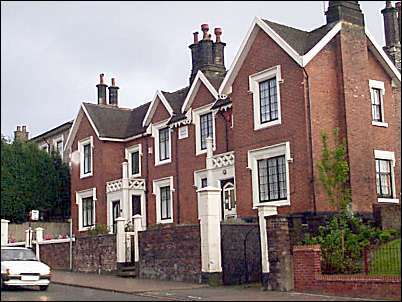 Four large detached villas in a late classical style were constructed on the next four plots: Asply House, Wellington House, and Grange House (the fourth house has since been demolished). A gap was then left for a road which became Bursley Street in the 2oth century. A terrace of four large villas, “Grange Terrace”, was constructed on the next plot. That marked the end of the development by 1851. In the next quarter century 23 more houses were built on the west side of Waterloo Road. With three exception these were smaller than the previous houses but still catered for middle-class residents. The occupiers of some of these houses at the time of the 1881 census can be found here. The house numbers should be related to the numbers added to the 1878 Ordnance Survey map. 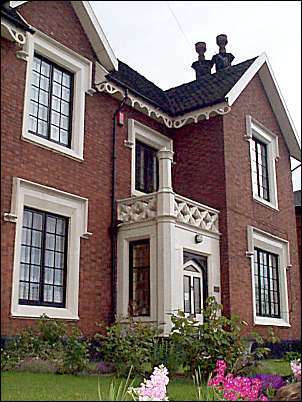 TO BE SOLD BY PRIVATE TREATY, a newly erected DWELLING-HOUSE, situate 181 Waterloo-road, Burslem, containing 5 bedrooms, bathroom, and water closet upstairs, drawing room, sitting room, kitchen, back kitchen, and well cellared, now in the occupation of Mrs. Ford.